Recently, Samsung released another variant of the Galaxy S8 but with 6GB of RAM earlier this year. And today, LG is doing the same with their new LG G6+. 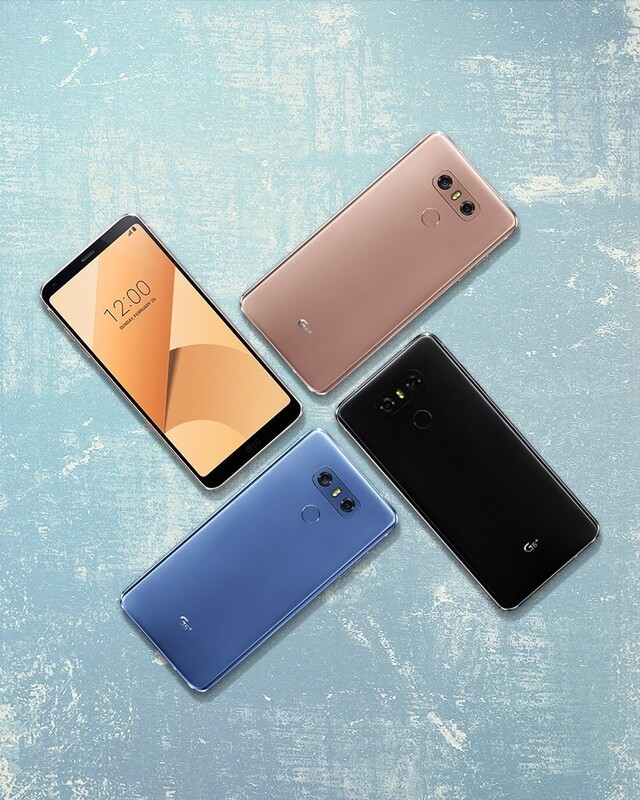 The phone is an upgraded variant of the LG G6 with 6GB of RAM and 128GB storage, and will be going up for sale in South Korea early next month. The new variant has the same specs as the standard variant, including a 5.7-inch QHD+ display, Snapdragon 821, microSD slot, dual 13MP cameras at the back, 5MP front shooter, Wi-Fi ac, Bluetooth 4.2, NFC, USB-C, and a 3300mAh battery with Quick Charge 3.0 and Qi wireless charging. LG is also bundling a pair of B&O Play earphones that are designed to take full advantage of the 32-bit Quad DAC. The LG G6+ would have made more sense had it been powered by the Snapdragon 835, although it looks like LG is confident in the optimizations it carried out with the Snapdragon 821. Last year's flagship SoC is by no means a slouch, but LG is ceding ground to the S8 and HTC U11 — at least when it comes to customer perception — by continuing to use an older chipset. On the software front, the LG G6+ is running Android 7.0 Nougat with LG UX 6.0 — same as the standard variant. LG mentions that it will deliver updates to all variants in the G6 series simultaneously, and that a new software update rolling out early next month will deliver an "enhanced security option" in the form of a facial recognition feature. Called Face Print, the feature will allow you to unlock your G6 (and G6+) just by holding it up to your face. The camera will be activated when the phone is raised to your face, and LG says that the feature will allow you to unlock the phone in under a second. LG will also offer increased battery savings with a feature called Low Power Consumption, and when you're taking a photo with your G6, you'll see a Covered Lens warning if the phone detects that your finger is on the sensor. Alongside the LG G6+, LG also announced that it will sell a version of the G6 with 64GB storage. 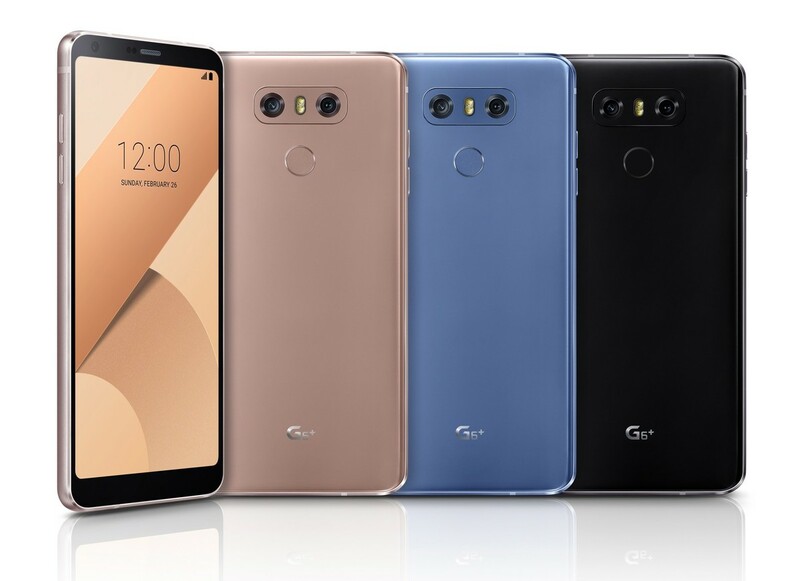 The company now has three models in the G6 lineup — the base-model G6 with 4GB of RAM and 32GB storage, the standard variant that comes with 4GB of RAM and 64GB of internal memory, and the LG G6+ with 6GB of RAM and 128GB storage. 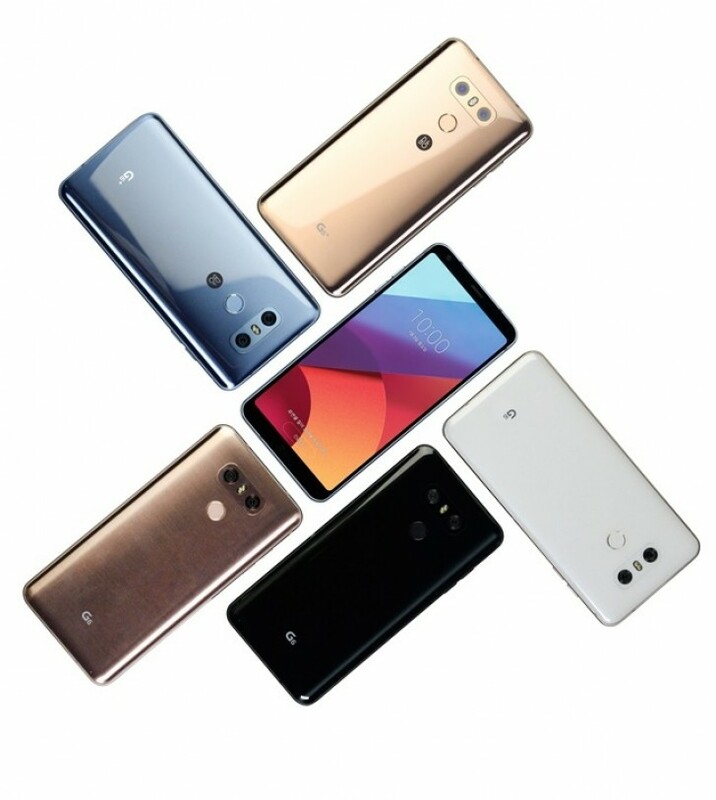 The LG G6+ comes in a few new color options - Optical Marine Blue and Optical Terra Gold and Optical Black. LG has applied different coating that will make the back panel change hue, depending on light reflection. Pricing for the LG G6+ will be detailed at launch, and LG mentions that the phone will be making its way to global markets shortly after its Korean debut.